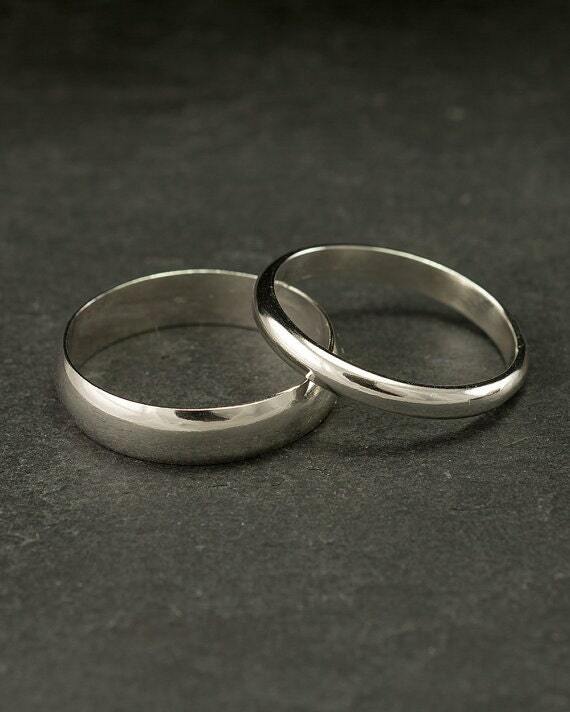 This listing is for ONE single WIDE or THIN wedding band. 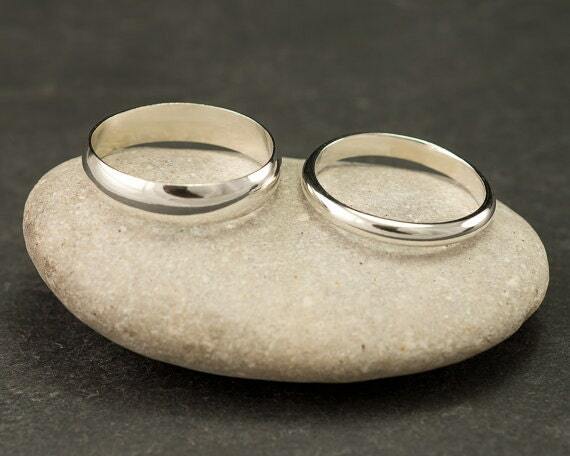 The ring is made of solid sterling silver. 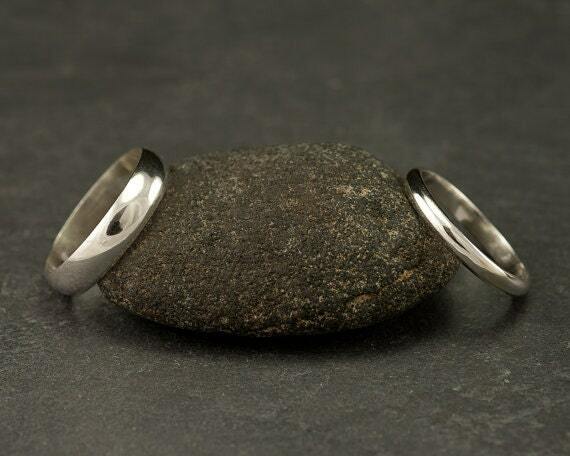 This listing is for a single Wide 5mm width wedding band or one Thin 3mm wedding ring. 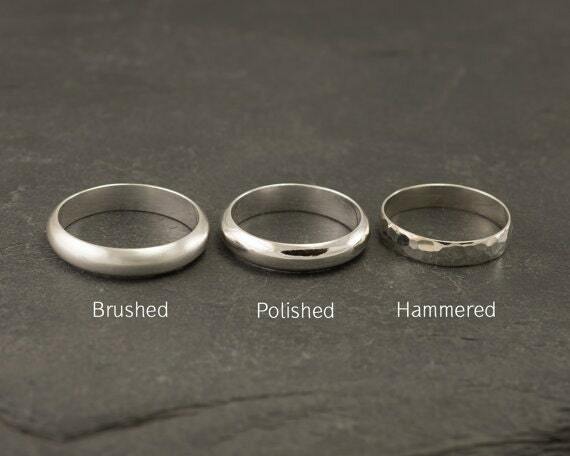 Ring can be polished, matte-brushed or hammered. In order to determine your correct ring size I recommend having your finger measured at a jewelry store. Most local jewelry stores are happy to assist you with ring sizing. Purchased rings from this shop before! Just as you see in picture. Great quality and price! Thank you!! I sadly lost my wedding band in the midst of moving but was able to order another one easily and it came quickly. These bands are high quality and very nice, we have really loved them these last two years.